How to boost your therapy business? Rent a prestigious Wirral surgery – and pay only by the session. There are few better addresses for a therapist or medical consultant than the Wirral. However, as they say you get what you pay for, and the best locations don’t come cheap. Taking out a lease on your own consulting rooms in the area is a major commitment, both financially and otherwise. What else can you do? Relocate to Heswall Chiropody’s private medical clinic. You enjoy all the benefits of superbly equipped consulting rooms and one of the Wirral’s most prestigious addresses. Best of all, you only pay by the session. It’s a superbly cost-effective alternative to renting your own premises. Undoubtedly, Heswall Chiropody is your ideal option if you are just starting out in practice on the Wirral. It’s also ideal if you’re based elsewhere but have a limited number of clients in the area. What’s more, for no extra charge we can add your own profile page to our website. This will bring you important extra exposure. Altogether, the benefits of having such an exclusive address and quality consulting rooms can give your practice just the boost it needs. To find our more call 0151 342 9665. NOW IS THE TIME OF YEAR THE LITTLE BLITERS RAISE THEIR HEADS. Chilblains are a reaction to the cold weather, they are small, itchy swellings on the skin, they effect the body’s extremities – heels, toes and fingers. When the skin is cold, blood vessels near its surface get narrower. When the skin gets warmer the blood vessels become wider. This happening too quickly causes leakage into the surrounding tissue resulting in the swelling and itchiness (a tinge of blue is usually evident). Keep as warm as possible avoiding extremes such as getting into the car with cold feet then turning the heat up directly onto them. Wear two pairs of socks a thinner pair inside and a thicker warmer one on the outside. There are a variety of Chilblain prevention creams for people who suffer each year – they should be applied from September onwards. If you smoke you should try and stop as smoking inhibits good circulation. If the chilblains become broken resist the urge to scratch... go to your chiropodist have them looked at and if necessary dressed. Adding to our Facebook page, Heswall Chiropody have branched out in to the Social Media world with the additions of a Twitter account and YouTube Channel. 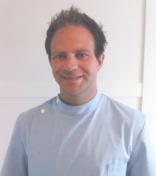 Heswall Chiropody welcome's Trevor Merrick, fully qualified HCPC registered Podiatrist and Chiropodist. A former police officer, Trevor re-trained as a podiatrist graduating from Salford University in 2011. Following graduation he moved to Australia for a year where he worked on all aspects of Podiatry. His time in Australia taught him a lot about sports related podiatry and foot biomechanical injuries. Trevor has played sport at international level and uses this experience, he is always pleased to treat patients with injuries related to sport and help them back to full fitness.